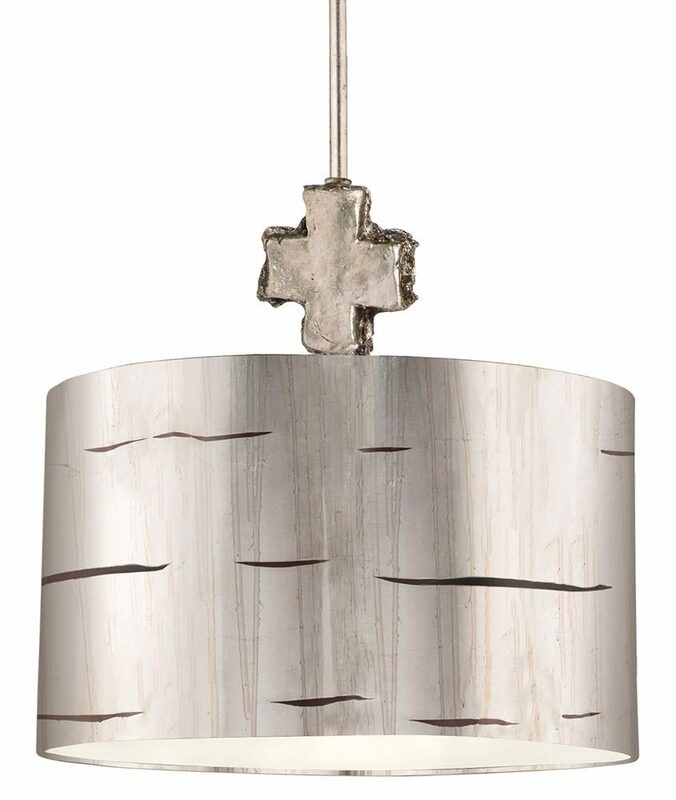 The Flambeau Fragment 1 light large ceiling pendant in aged silver finish features New Orleans style and extrovert design. 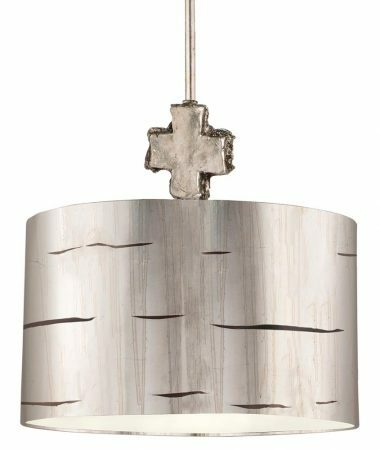 Ceiling mount and height adjustable rod suspension with moulded cross leading to a 38cm drum shade containing a single lamp bulb. The shade is finished with a hand-applied glazed gold leaf and fitted with a lower diffuser. This unique ceiling pendant is designed by Paul Grüer, who was influenced by the French Market in New Orleans, collecting unique treasures and combining them with simple shades. Each product is hand-painted with gold or silver leaf and glazed to showcase its artistic flair making each one a unique piece. This New Orleans style ceiling pendant looks fantastic in a reception room, dining room, bedroom or hallway and is sure to be a conversation starter wherever it’s placed, making any room as individual as you are. Supplied with two 30cm and two 15cm rods that can be used in any combination to achieve the desired drop, please see the technical information below for exact dimensions. Supplied by Elstead Lighting and designed by Flambeau in New Orleans who offer unique and distinctive lighting collections. Working with specialist designers who model up their own original creations using distressed finishes of gold and silver leaf to create 21st century antiques like the Fragment 1 light large ceiling pendant in aged silver finish you see here.